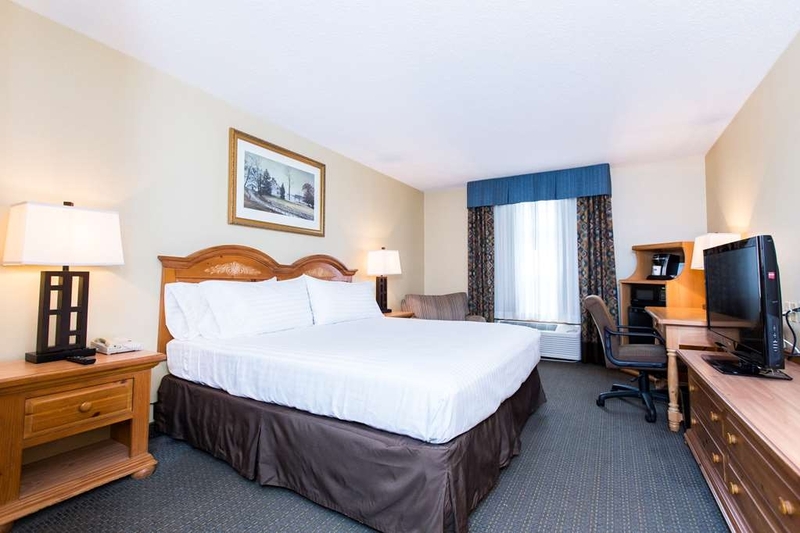 SureStay Plus Hotel by Best Western Elizabethtown Hershey est idéalement situé dans le centre de Elizabethtown. Venez découvrir et profiter de notre hôtel à côté des principaux sites touristiques. Réservation au meilleur prix et offres exclusives toute l'année. Profitez d’équipements de qualité dans notre hôtel du centre de la Pennsylvanie. Situé entre Harrisburg, Hershey et Lancaster, notre hôtel d'Elizabethtown, en Pennsylvanie, vous permet d'être au centre de tout ce que la région a à offrir. 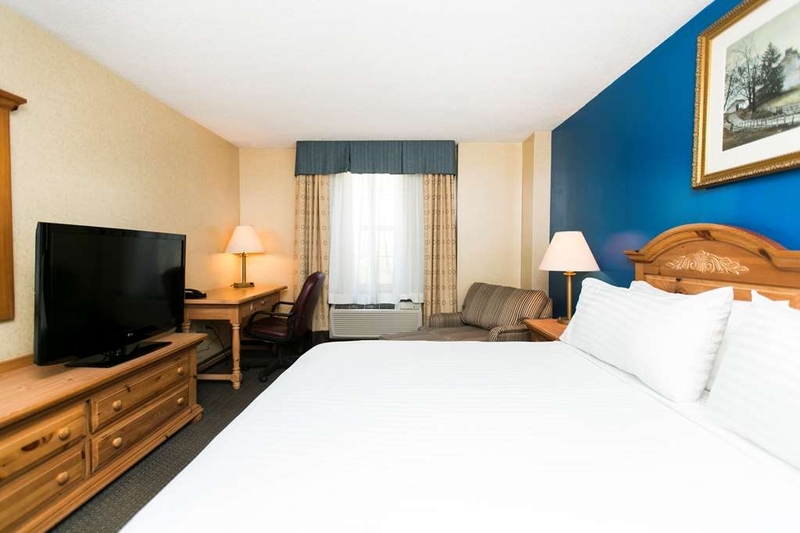 Le SureStay Plus Hotel by Best Western Elizabethtown Hershey propose les équipements de qualité et la situation idéale que vous recherchez. 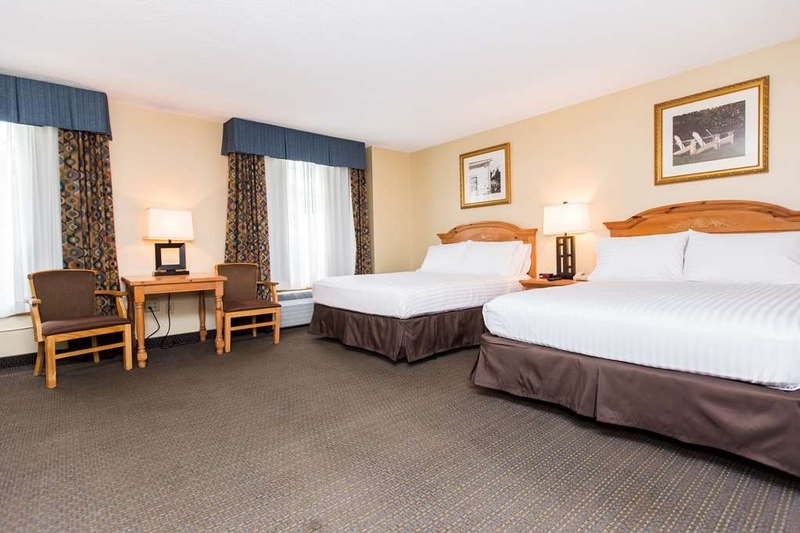 Notre hôtel à proximité de Hersheypark offre aux voyageurs d'affaires les équipements adaptés à leurs besoins, dont un centre d'affaires ouvert 24 heure sur 24, avec Wi-Fi gratuit, photocopieuse, imprimante et PC. De plus, nous sommes situés à proximité de l'aéroport international de Harrisburg (MDT), de Manheim Auto Auction, de Masterfoods USA et d'Elizabethtown College. Notre hôtel est particulièrement prisé des touristes, car il se trouve à proximité de véritables trésors à découvrir, tels que le village maçonnique et la communauté de Mount Joy. Vous pourrez également passer un après-midi à profiter des attractions palpitantes de Hersheypark, à explorer le pays Amish ou à tenter votre chance au casino Hollywood. Nous nous trouvons également à une courte distance en voiture du complexe sportif Spooky Nook. Les clients venus assister à un mariage ou à un événement apprécient également notre situation pratique près d'Ironstone Ranch, de Stone Gables Estates, de Cameron Estate Inn, de Harvestview Barn, de Moonstone Manor et bien plus encore !Lors de votre séjour dans notre hôtel proche de Hersheypark, vous bénéficierez d’un grand nombre d'équipements, tels que l'accès Wi-Fi gratuit, un petit déjeuner chaud, complet et gratuit et un centre de fitness. À Elizabethtown, en Pennsylvanie, notre hôtel surpasse la concurrence en vous offrant un confortableséjour à un prix adapté à votre budget. Everyone there were very friendly. Room was clean but small our sink wasn't in the bathroom but in the room, which was a little awkward for us. We had a micro wave refrigerator but no freezer in it. Breakfast was good and they kept the tables clean in between guest. Location was nice no road noise. Overall it was good we would stay there again. Loved they had coffee 24/7 and at night they brought out really good chocolate chip cookies also apples and oranges. 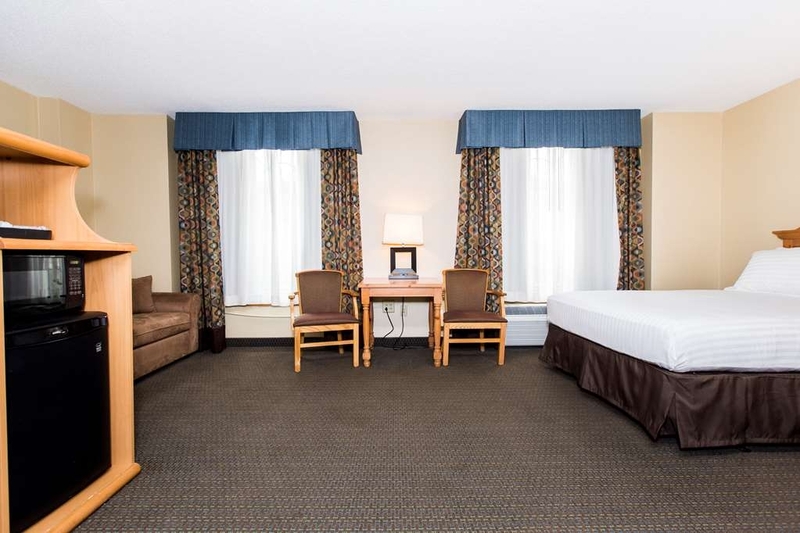 Dear Guest, Thank you for your kind comments in regards to your recent stay at the SureStay Plus Hotel by Best Western in Elizabethtown, PA. We greatly appreciate it. In reference to your comments, I would like to inform you that our hotel is currently under renovation, and we are planning an addition to begin this fall. 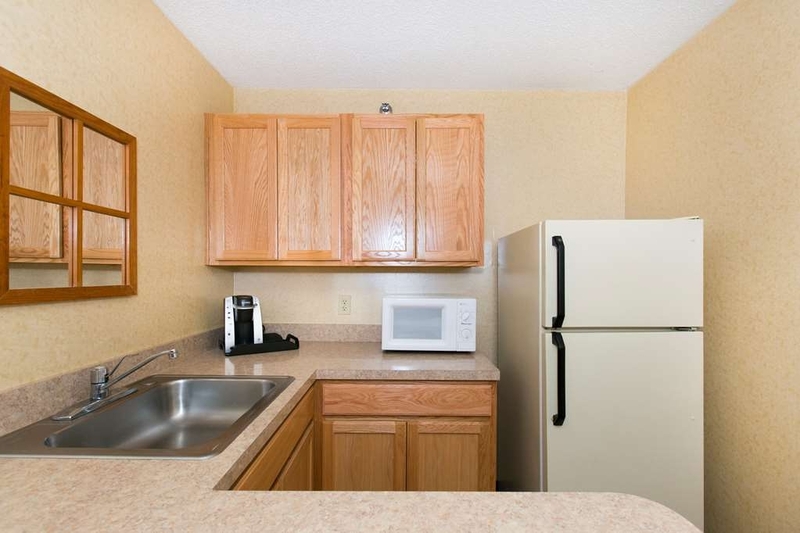 In this addition, we are planning to build some guest rooms where the bathroom sink is in the bathroom. If you do choose to stay with us after the Spring of 2019, please indicate that you would like one of these new rooms. 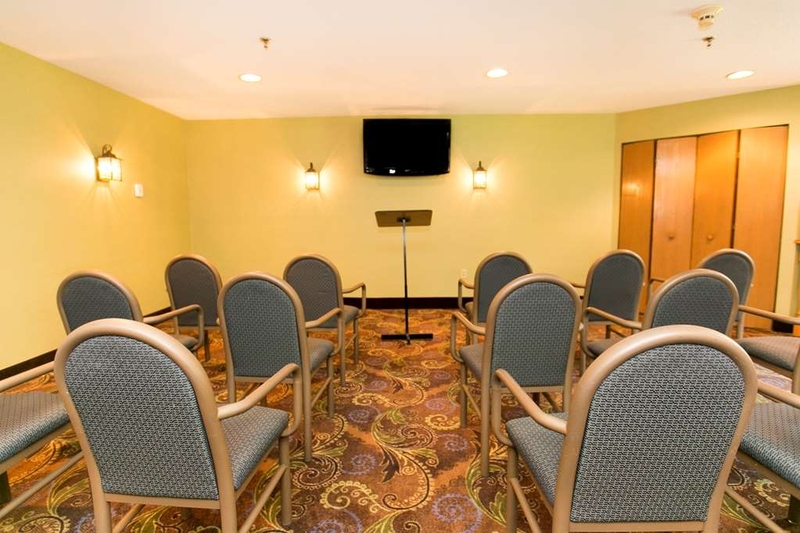 We can note that request in your reservation and try to put you in one of these rooms when you arrive. Please feel free to contact us should you have any questions or need additional information. Again, thank you, and I hope you have a wonderful day! "Nice place to rest your head"
We stayed here while moving our son in to E-Town College. They are currently under construction so there was a bit of noise from the contractors installing floor tile until 10:15PM, but when I called the front desk they resolved it immediately. 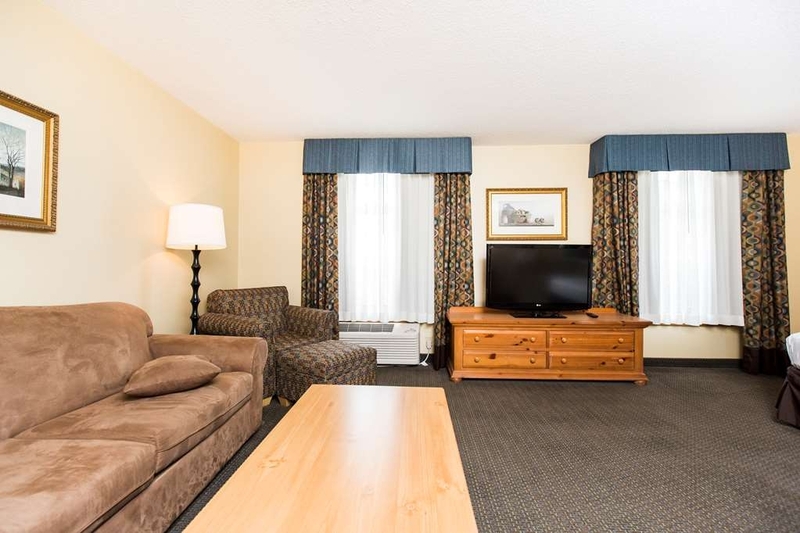 The room was clean and the location is easy on and off from the highway. Based on the positive experience with the front desk, we will stay there again when we visit our son. Dear Guest, Thank you for your comments regarding your recent stay at our hotel! We sincerely appreciate it. We are currently under renovations, and we hope to be finished with the interior renovations this fall. I am happy to hear that our front desk agents were able to resolve your concerns. Thank you again, and I hope you have a great day! Our room was extremely damp and humid in spite of the AC settings. In addition, our toilet over flowed. Breakfast was great but it didn't make up for the uncomfortable atmosphere in our room. Sheet and mattress cover didn't fit the bed. It bunched up on the bed each night. I do not recommend this hotel. I was in the area for a convention/training and found this great place. 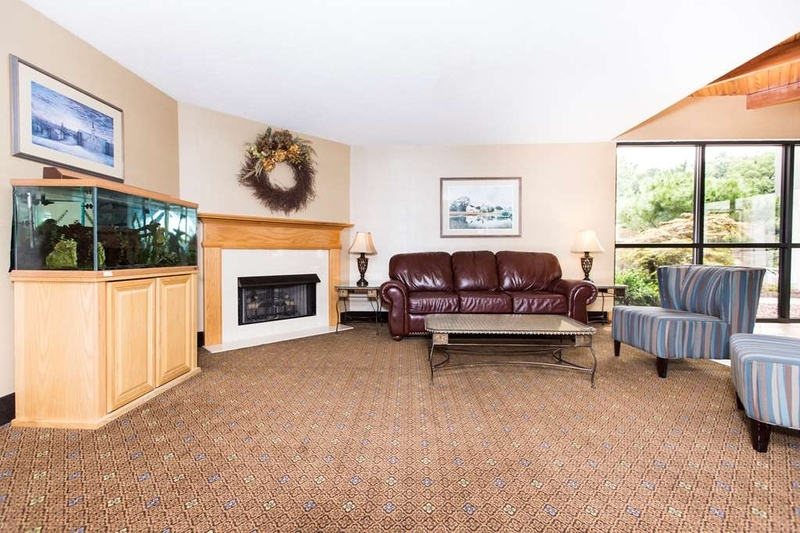 Located away from the major highway, but quick access. From the moment I walked in I felt welcomed. The staff were all very friendly and went above and beyond to meet my needs. 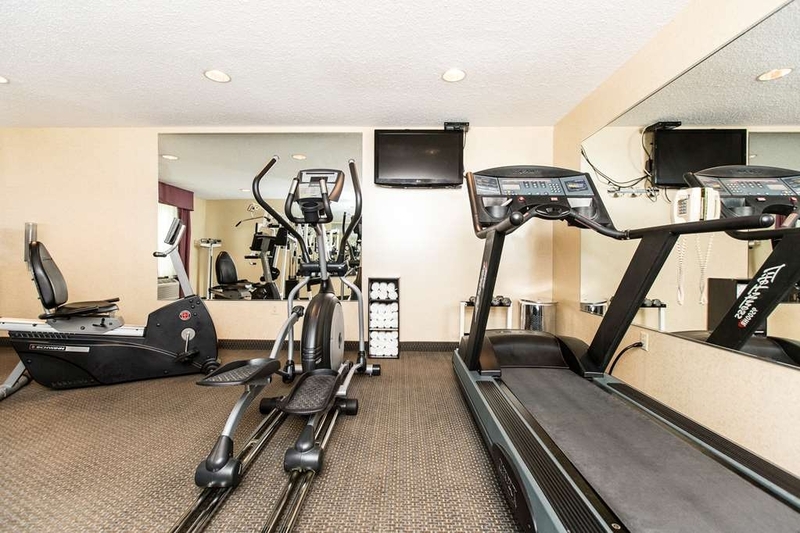 Rooms were very clean and provided all of the amenities needed. 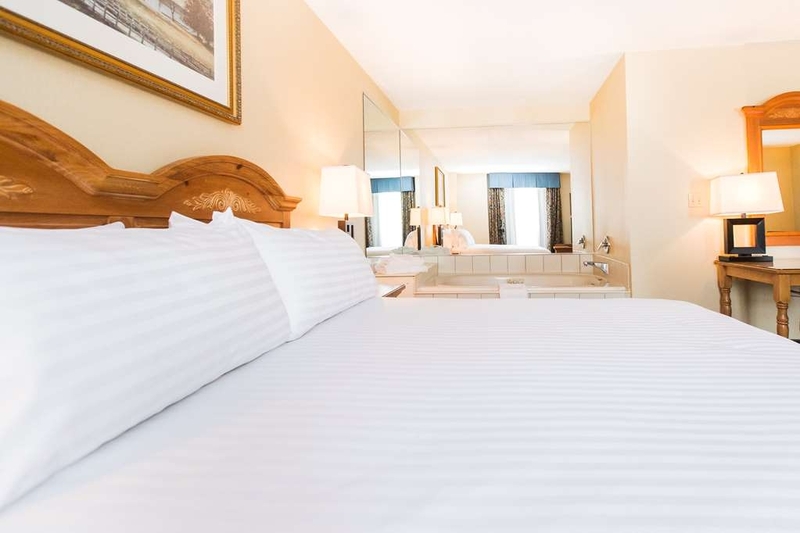 Overall good price, excellent room and great breakfast. Stayed here for a wedding. Staff was very friendly and helpful. Rooms were very clean, would recommend staying here. 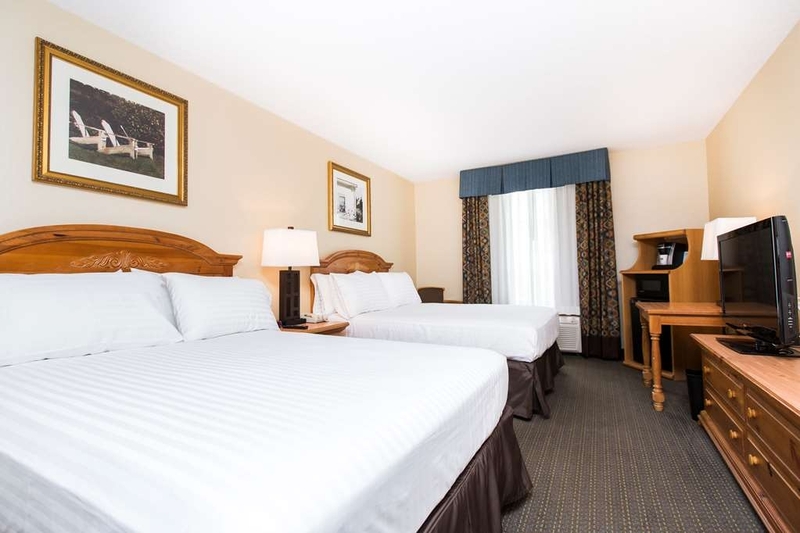 Just fyi there isn't much around the hotel, you have to drive to get food and all. .
Dear Guest, Thank you for your comments about your recent stay at the SureStay Plus Hotel by Best Western in Elizabethtown, PA! We sincerely appreciate it! We hope you will keep us in mind should you find yourself in our area in the future. Thank you again, and have a wonderful day! Regards, Rose S.
The location is on a side road which creates a quiet hotel...a big plus for us...yet it is very convenient to main highways. 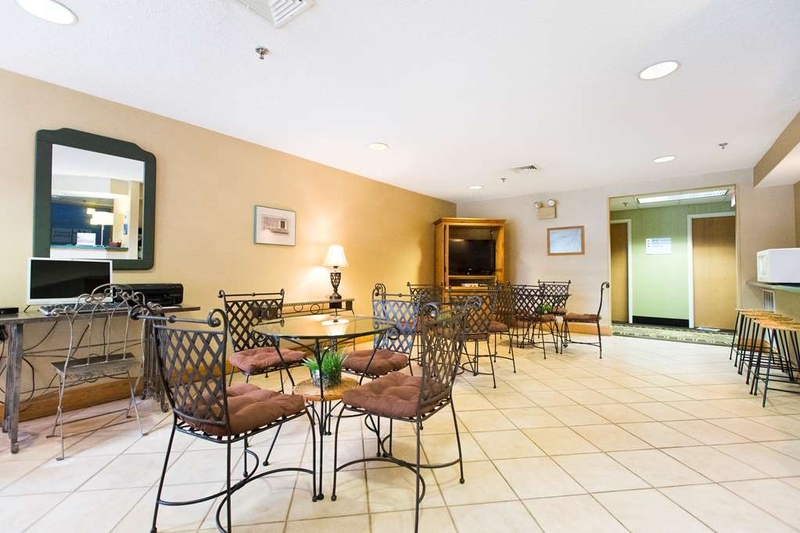 The hotel and rooms are attractive and clean and the prices are great. The breakfast room was nice with a variety of foods, hot and cold. 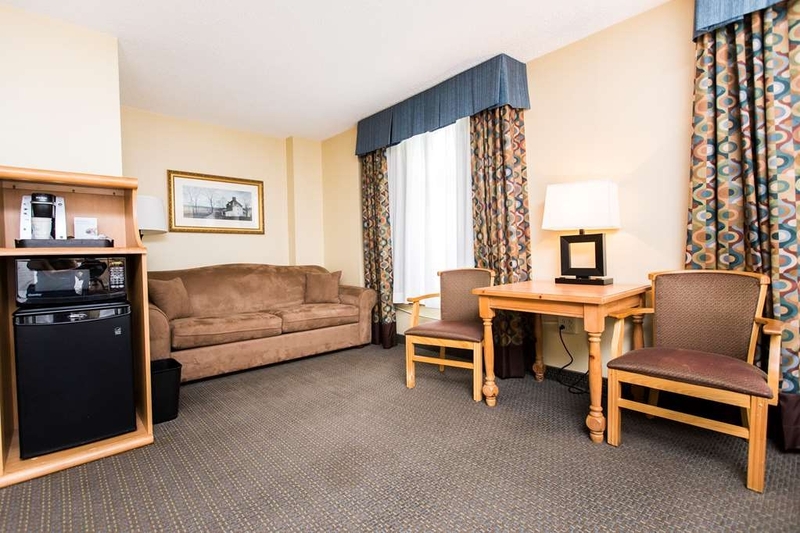 Hunter was the desk clerk that we dealt with and he was very friendly, helpful and considerate. Around the corner are various stores and places to eat, some of which deliver. Although we had stayed in the area before, this was our first time here. Now this is where we will stay, for sure. You'll be pleased. Dear Guest, Thank you very much for your kind comments about your recent stay at our SureStay Plus Hotel by Best Western Elizabethtown, PA. We sincerely appreciate it! We are pleased to know that your stay was an enjoyable experience! Again, thank you, and have a wonderful day! "Almost a five star, so close!" This is the third year we have stayed at this hotel for a bowling tournament in the area. We have been well pleased because of the location. However, this trip was more pleasurable than usual. 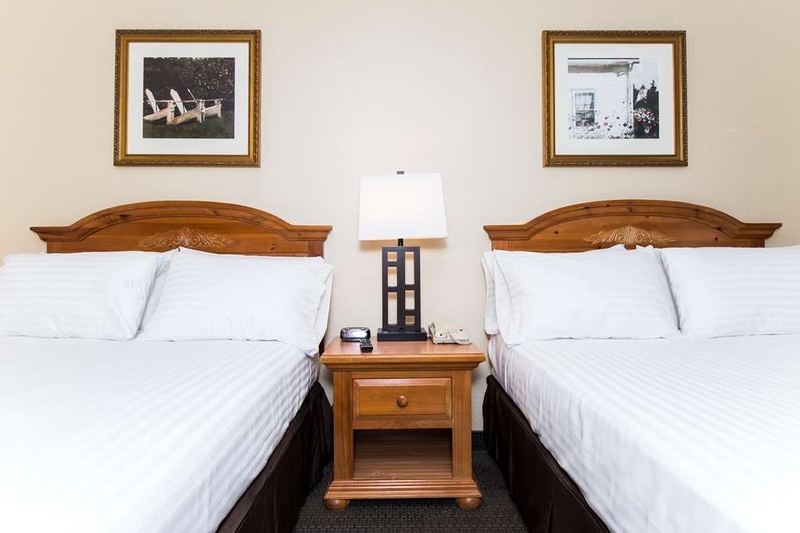 The rooms are roomy, quiet, clean, and with the mini-fridge, microwave and Keurig coffee/tea maker, what more could you ask for in an affordable hotel. (and the bed are super!) Add the ever availability of fresh fruit and coffee bar in the pleasant lobby...another plus. Then an abundant breakfast, hot, cold food and beverages, pastries, etc. everything we would have wanted or needed. Did I mention the hotel is nicely priced being so close to Hersey Park? Wonder staff too! Now for the only reason for not getting a 5th star...no pool. Some people may think that is a plus because it doesn't attract too many families with children. For me I like a good swim after a day out. There is a great workout facility in the hotel, but for me in the summer, a pool adds the final touch. Otherwise, and in every other way this hotel is a 4++. 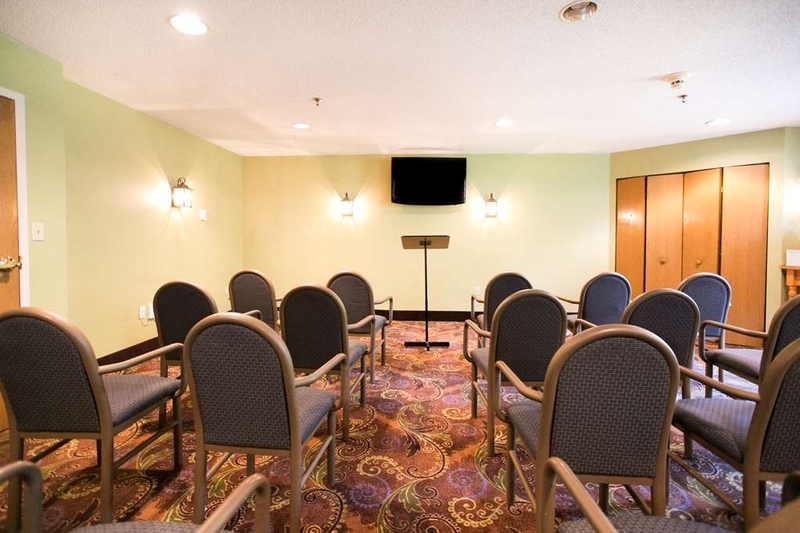 Dear Guest, I am excited to hear that you enjoyed your stay at the SureStay Plus Hotel by Best Western in Elizabethtown, PA! We sincerely appreciate your feedback! 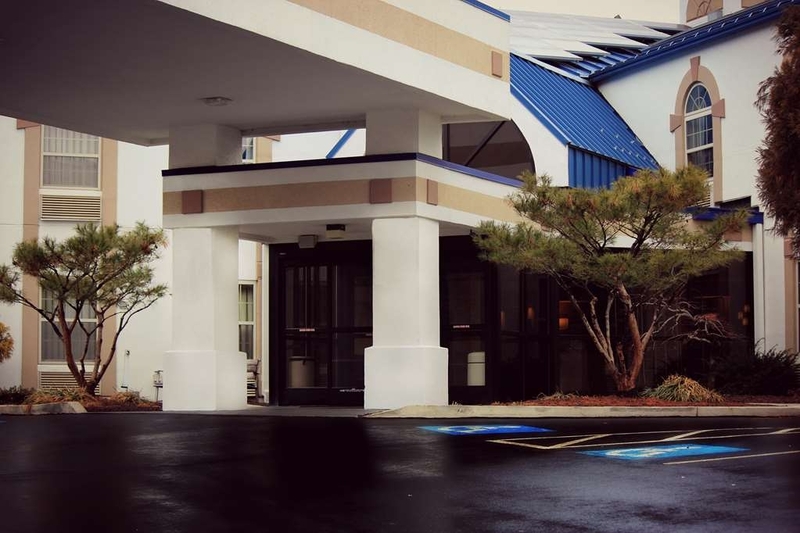 You will be happy to hear that we are planning construction and additions to the hotel currently. One of those additions is an indoor salt water pool and hot tub! We will begin our renovations in August 2018, hopefully completing them by April 2019, so we should have the pool ready for your next stay with us! Please feel free to contact us directly should you want any additional information. Again, thank you for your feedback, and have a wonderful day! The staff is great. I had problems logging onto the Internet, the Front Desk clerk came down and helped me out, the woman who checked me in was very friendly. The room was clean and the bed comfortable. Breakfast was nice. Dear Guest, Thank you for your kind comments about your recent stay at the SureStay Plus by Best Western! We sincerely appreciate it! We hope that you will keep us in mind should you find yourself travelling to our area in the future. Thank you again, and have a wonderful weekend! This hotel has top notch customer service! I wasn't even a guest here yet I was extended the best customer service ever! I was in Philadelphia, PA over the weekend of June 15th thru June 18th and rented a car from Thrifty Car Rental. Well, I left my iPad in the rental car and didn't realize it until June 19th. I tried numerous times to get in touch with the local Thrifty office where I rented the vehicle but to no avail, I kept getting the run around. I tracked my iPad, which was still in the rental car, by using the Find my iPhone app. The car had been rented to a customer at this hotel. I called the hotel and explained my situation which I know sounded bizarre to Hunter who was the most, honest, sweetest, nicest person. He went above and beyond to communicate with the customer to retrieve my iPad! His manager, Ms. Rose, went the extra mile as well and packaged my iPad with care and mailed it to me. Great help is hard to find! I'm so glad I found it at the Best Western! Thank you all so much from the bottom of my heart. 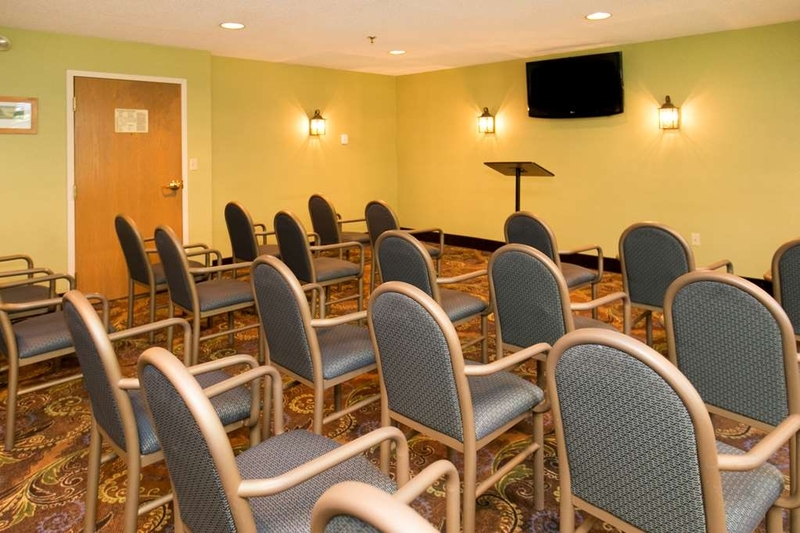 Hello, Thank you for your kind comments about the staff at our SureStay Plus Hotel by Best Western. We sincerely appreciate it! I am happy that you were able to find and receive your ipad. 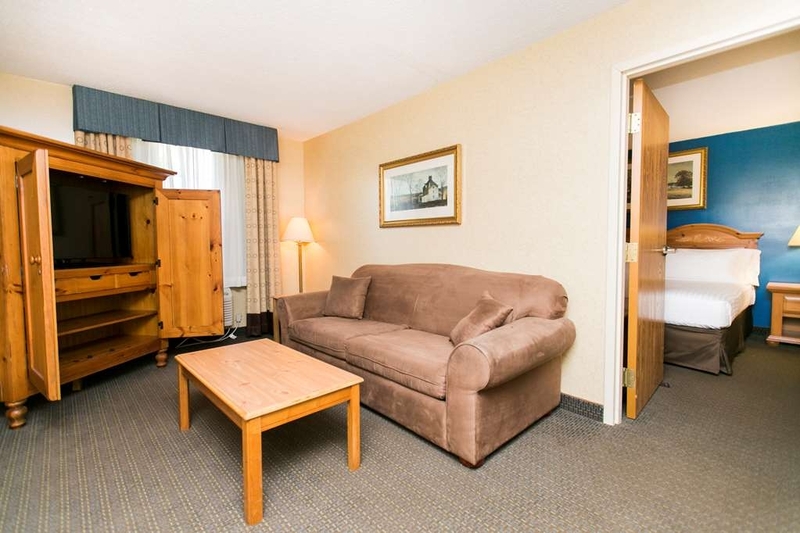 Let us know if your ever in our area, and we will be more than happy to accommodate your lodging needs. Have a great weekend! Dear Guest, Thank you for you comments in regards to your recent stay at our hotel. Please accept my sincere apologies for the issues that you encountered with your reservation. I would like to ask if you would be willing to contact me via phone or email to provide additional information about your reservation? I may be reached at 717-367-4000 or [email protected] Again, thank you for your comments, and I look forward to hearing from you. Have a great day! Regards, Rose S.
"Price is Right For In Season"
Finding a place in Hershey area is challenging during warmer months. This used to be a Holiday Inn and has changed brands. The grounds are well kept and the lobby is on point. The room was average. 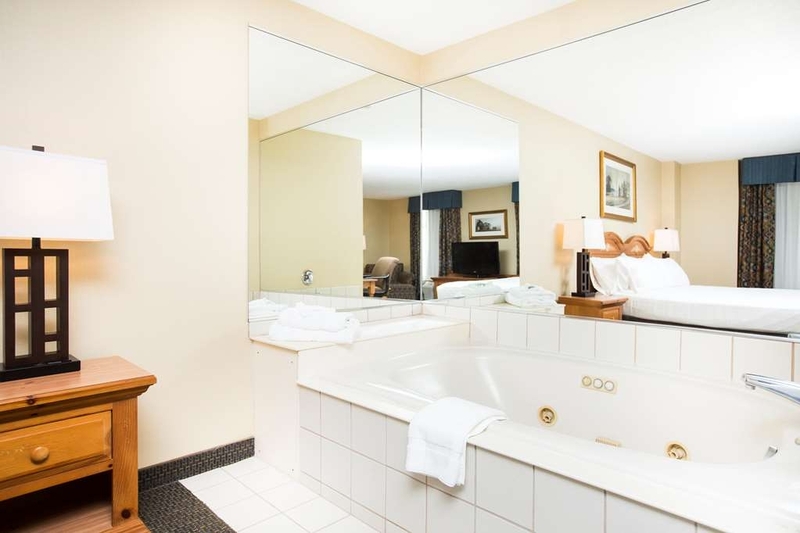 The beds were very comfortable, however the bathroom sink is actually outside the bathroom in your room. They need to update showers. They have wallpaper upper part of shower therefore mold starts to accumulate at the seams. This should be a tiled section or a one piece insert. One good feature was the sound barriers. Normally when you have runners on the level above, it echoes strongly into your room. The floor are sturdier, and have less noise bleeding through for a quieter nights sleep. Breakfast was decent, with choices of regular scrambled eggs, or egg white vegetarian omelette. They offered same as hotels on breakfast choices, so no better or worse here. "Great staff and met expectations!" From the get go, reservations went smooth! We checked in at 1:30 am and was greeted with a welcome and she accommodated our 1st request. The hotel and the rooms are clean and above par. 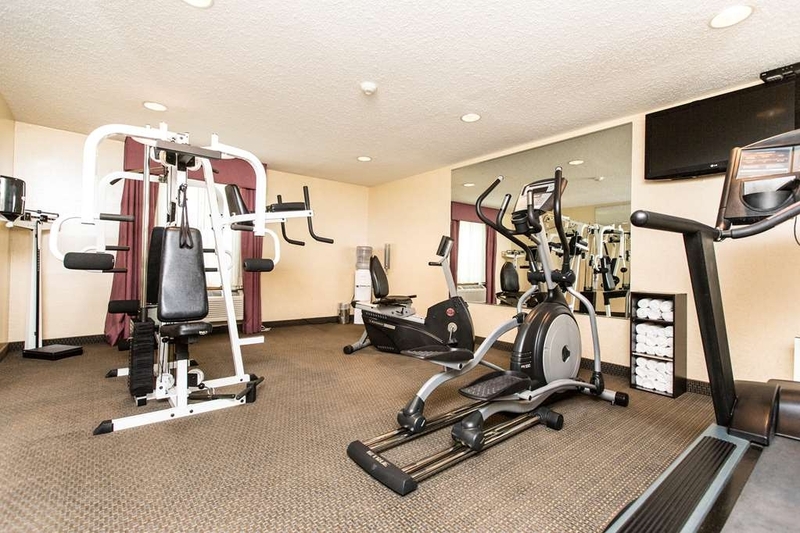 The fitness room is all you'll need when you're away, the breakfast and the morning staff are very friendly and very accommodating. Good choices and the quality of breakfast was good, they have hot and cold items. Our flights were delayed and they allowed us a late check out. When we are back in the area, we will surely stay there again. Thanks H.I.E Etown! All staff at desk were outstanding! Very friendly and extremely helpful! 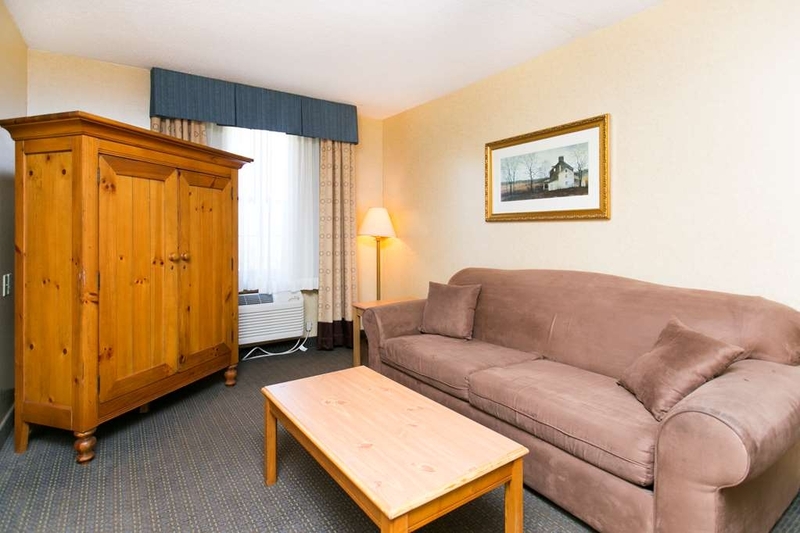 Room was very clean and hotel in a very convenient location. I will definitely make this my "go to" place to stay when traveling through the area. Dear Guest, Thank you for your review of our property. We are so glad that you were happy with your stay with us. We look forward to you visiting us again in the future. Have a great day. beds and sheets were fluffy, clean and comfortable - pillows were plentiful and fresh. 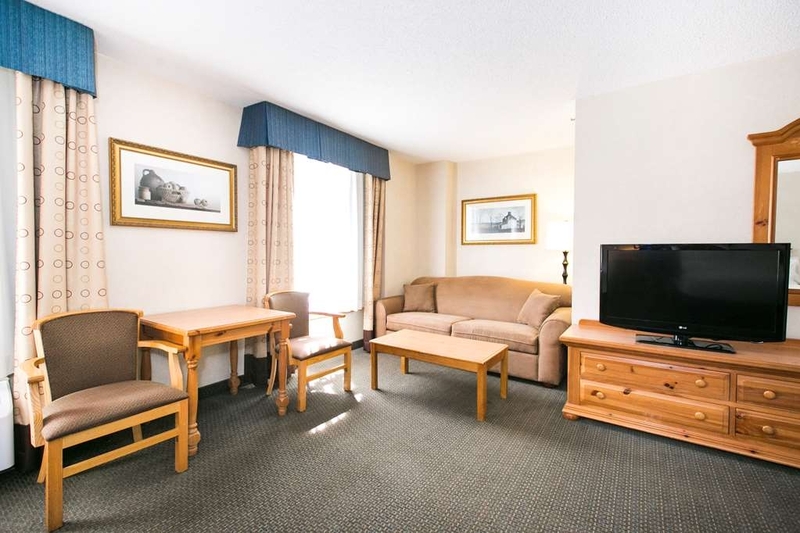 Room is tight, but this IS an inexpensive hotel; ratings should be in context of cost. Wonderful lobby with fresh fruit and coffee all the time. Breakfast was excellent (also, in context of the hotel-star-level). Staff is friendly and attentive. It's a franchise location ... meaning not corporate owned; essentially, it's a mom-and-pop-run "store." We needed a cot, which was delivered very quickly and already made-up for us... the one negative is a relatively small and antiquated shower/toilet (sink is in the room - which we think is a good idea in hotels). Dear Guest, Thank you for your review of our property. Glad that you found our accommodations to be comfortable. We like to think that by offering coffee and snacks when our guests arrive helps to make them feel like they are joining friends. Not just staying at another hotel.Have a great day. 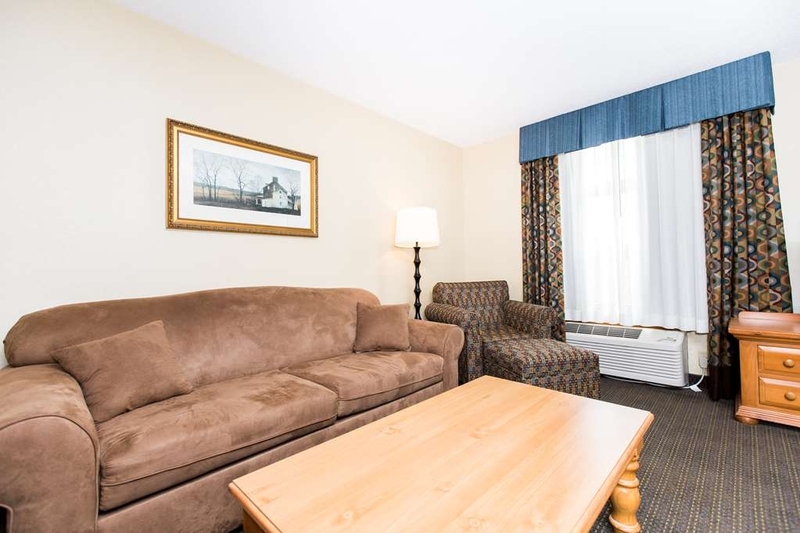 "Another Weekend at the Elizabethtown Holiday Inn Express"
When we visit our daughter in Elizabethtown PA we always plan to stay with our dog at the pet friendly Holiday inn Express right off of route 283. The front desk staff are the best and accommodating. The rooms have microwave and refrigerator. Breakfast is included, and the staff in the breakfast room are super efficient. Restocking and cleaning. Coffee and tea available int he lobby 24/7 with fruit and cookies. The grounds are clean and provide plenty of space to walk the dog. Picnic tables are set-up to read a book or the paper as the room is made. They have maps of the area of restaurants and shopping. Parking lot is well lighted, but on a slope, so be careful when you use one of the available carts to load your stuff. Bottom line, excellent staff at a clean and affordable property we will have no problem returning to in the future. Dear Guest, Thank you for your review of our property and your stay with us. 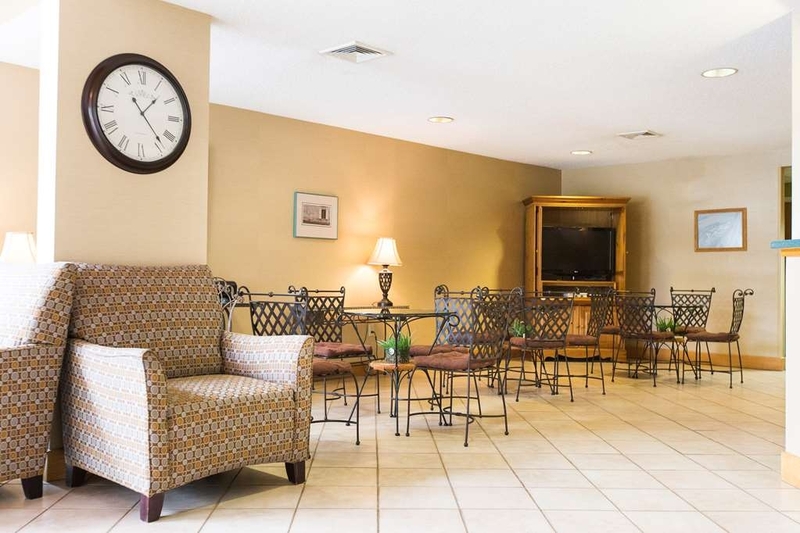 We are pleased that you are able to enjoy the many amenities of our property and facility when you stay with us. We are happy to serve all our guests but especially enjoy getting to know our guest that stay with us frequently. Thank you again for choosing to spend your time away from home with us and we look forward to seeing you again soon. Have a great day.